Well, the problem with statistics is that they can be used to paint whatever picture you want. To see the reality of the issue, you need to properly examine the details. The data shows that, if you consider the machines themselves, private jets are generally just as safe—if not safer—than regular airlines. 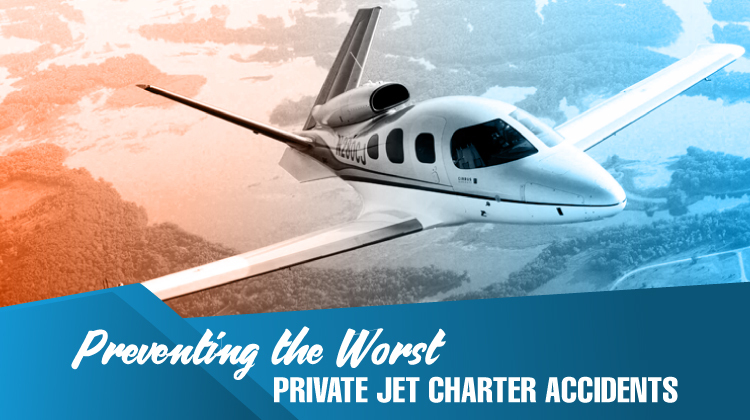 To finally get rid of the misconception of private jet charters being unsafe, we’re going to take a look at what exactly caused some of the worst private jet charter accidents in history, and how they could have been prevented. Fuel: Always plan for the worst-case scenario, and make sure to have more than enough fuel for your trip. Crashes due to fuel exhaustion are almost always avoidable. Maintenance: Poorly maintained planes can be fatal, and it’s much better to notice a problem through rigorous on-the-ground checks than to experience a life-threatening scenario thousands of feet in the air. Lazy maintenance checks can lead to disaster, and it’s the owner’s responsibility to make sure everything is operating as intended. Pilot: With pilot errors accounting for nearly 88% of private jet crashes, the plane can hardly be blamed. Only professional pilots should be considered for flying a private jet. Unsafe conditions: One of the best things about owning a private jet is that you can travel whenever and wherever you want. This gets rid of the hassle of dealing with annoying and costly cancellations. But, make sure to remember why airlines sometimes cancel flights! Flying in poor weather can lead to catastrophe. Negligence: Both pilot and engineer errors can be extremely dangerous. Make sure to hire only the very best professionals. Even if it seems like it might not be a problem, you should never cut corners when it comes to safety. When looking at the root cause of most accidents, it’s pretty clear that private jets are just as safe as flying with a public airline. What the statistics show is that people need to always remember that accidents can happen if you don’t take the necessary precautions.